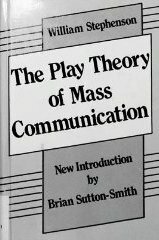 Description of Play Theory of Mass Communication. Explanation. Definition Play Theory of Mass Communication. Description. Play Theory of Mass Communication is a theory that holds the first function of media is to provide entertainment. The Play theory of Mass Communication has been developed by social scientist William Stephenson based on the precedent work of J. Huizinga, Homo Ludens, and of the Hungarian psychiatric T.S. Szasz. The concept has been explained in his 1967 book “The Play Theory of Mass Communication” University of Chicago Press, US. The author developed the concept to contrast those who argued about the harmful effects of the mass media and the information-based vision of media. 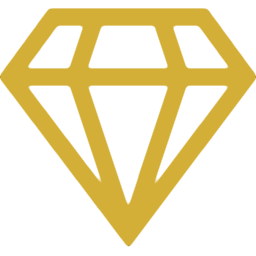 Compare with: Uses and Gratification Theory. According to Stephenson’s theory, media serve audiences primarily to create entertainment and provide play-experiences. Stephenson grounds his theory along a continuum with pain placed on one side and pleasure on the other. In this model, work leans toward pain, while play leans toward pleasure. Regarding the newspapers, Stephenson developed and defended the Ludenic Theory of Newsreading: he argues they are read to provide pleasure and relax instead of information and illumination, as mistakenly believed so far by many media authors and readers. Media, in general, are aimed at providing communication pleasure and their activity is often focused on turning certain conditions into positive which would otherwise create concern. People of any national culture require something to talk about to satisfy their need of entertainment, play and enjoyment. See also: Hidden Needs. Maximize the communication pleasure in the world. Show the extent of autonomy achievable from an individual respect to the social control performed by his socio-cultural system. What makes Stephenson’s research unique is the innovative methodology adopted: to analyze how communication processes are received by individuals he studied mass communication from a subjective and psychological standpoint, rather than an objective and sociological one as his predecessors did. This ends our Play Theory of Mass Communication summary and forum.